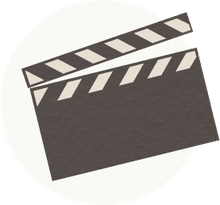 Over the course of seven films together, actor Jack Lemmon and director Billy Wilder made several unforgettable films, two of which are iconic. Wilder was already well established as one of Hollywood’s great directors when he began to work with Lemmon, who was mainly a supporting player before being turned into a leading man by the director. The Lemmon-Wilder partnership was also notable for creating the first pairing between another great duo, Lemmon and Walter Matthau, both of whom made two movies with Wilder. While their best films were made early on, there’s no doubt that Lemmon and Wilder were one of the greatest actor-director partnerships of all time. 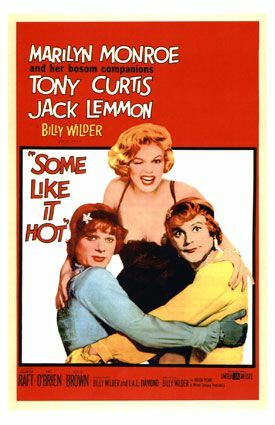 Their first and most famous collaboration, Some Like It Hot was a big box office hit that has remained a popular comedy classic throughout the years. Thanks to Wilder, Lemmon was turned from a supporting player into a leading man and delivered a near-flawless comic performance alongside Tony Curtis and Marilyn Monroe. Lemmon and Curtis played two hapless jazz musicians in 1920s Chicago who have the misfortune of witnessing the famed St. Valentine’s Day massacre. After being spotted, they go on the run dressed as women, only to meet a sultry blonde singer (Monroe) and compete for her affection despite their dresses and high heels. The film was a big hit was critics and audiences, though it was conspicuously left off the ballot for Best Picture. Regardless of the snub, Some Like It Hot was an auspicious debut for one of comedy’s great collaborations. While Some Like It Hot has been their most remembered effort, The Apartment was the most complete film made between Lemmon and Wilder. A bittersweet comedy about infidelity and adultery, The Apartment starred Lemmon as C.C. “Buddy Boy” Baxter, a lonely office drudge whose go-getter attitude compels him to loan out his apartment to his superiors so they can indulge in mid-day trysts with their mistresses. But trouble comes his way when he falls for Fran (Shirley MacLaine), the mistress of his callous boss (Fred MacMurray). A smash hit that caused a stir for its then-controversial subject matter – a woman even accosted MacMurray for appearing in it – The Apartment won Oscars for Best Picture and Best Director, though Lemmon was to be satisfied with only a nomination for Best Actor. While not the most accomplished film in the Lemmon-Wilder canon, Irma la Douce was another huge box office hit and was the fifth-highest grossing film of 1963. Set in Paris, the film starred Lemmon as Nestor Patou, an uptight policeman transferred from an idyllic park beat to a more urban part of town, where he finds himself neck deep in Parisian streetwalkers. Honest to the core, he sets about rounding up the French prostitutes, including the popular and endearing Irma la Douce (Shirley MacLaine). The bumbling raid leads to the arrest of the chief inspector and Nestor being fired from the force. Down on his luck, he befriends Irma and ultimately falls in love, which of course means he doesn’t want her to be a prostitute anymore. He dons a disguise as the mysterious Lord X, an English aristocrat who becomes Irma’s lone customer, only to become suspect number one when he “kills” his alter ego in an effort to end his charade. Undoubtedly popular in its time, Irma la Douce has since fallen off the radar as an anachronism of its time. The fourth film made between Lemmon and Wilder, and the first that included Walter Matthau, The Fortune Cookie was not quite as successful as their first three films but was notable for bringing Lemmon and Matthau together for the first time. Lemmon played Harry Hinkle, a network cameraman who’s injured after being accidentally hit while filming a professional football game. Sensing opportunity, his unscrupulous lawyer brother-in-law (Matthau) concocts a scheme to maximize the insurance fallout by convincing Harry to feign a more crippling injury. The plot includes the addition of a fake rekindling between Harry and his ex-wife, Sandy (Judi West), while the football player who injured him, Luther “Boom Boom” Jackson (Ron Rich), feels so guilty that he waits on Harry hand and foot, leading to Harry’s own crisis of conscience. Acerbically funny and oddly endearing, The Fortune Cookie might be seen as the last great film made between Lemmon and Wilder. The third of four film versions of Ben Hecht and Charlie MacArthur’s 1928 hit Broadway play, The Front Page was an effective collaboration between Lemmon and the aging Wilder, though it paled in comparison to their best work. Lemmon played the Hildy Johnson character to Matthau's egomaniacal managing editor Walter Burns. After quitting his job to marry his girlfriend Peggy (Susan Sarandon), Hildy tries to embark on a new career, only to be pulled back into his old reporter job at the Chicago Examiner after a convicted killer (Austin Pendleton) escapes death row and hides out in the newsroom. Hildy smells a big scoop and leaves Peggy frustrated after leaving her behind to chase after the story, which causes even bigger trouble for Walter and himself. After The Front Page, Lemmon and Wilder made only one more film together, the rather disappointing Buddy Buddy, before ending their collaboration.